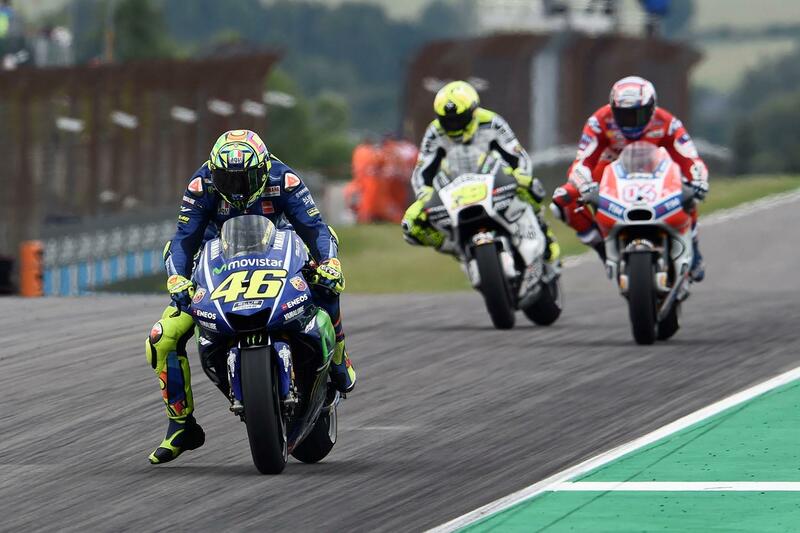 A well-rested Valentino Rossi says he can’t wait to get the 2017 MotoGP season – and his aspirations for a tenth world title – back underway this weekend when action kicks off again at the Czech Grand Prix after a four-week summer break for the series. Having made the most of the time away from racing to rest and recharge as he prepares to launch an attack for his tenth title in the second half of the year, beginning at a circuit he loves with Brno, the Italian says he couldn’t be in better shape. His sentiments were echoed by teammate Maverick Viñales, who’s also out to take his own debut title as the battle between the teammates (along with championship leader Marc Marquez and Andrea Dovizioso) heats up. And with the championship battle so close, Movistar Yamaha team boss Massimo Meregalli says we’re set for an exciting weekend at the Czech race. “It’s great to return from the holidays with recharged batteries and, having been able to rest, we can’t wait to get back out on track. Both the riders kept busy preparing themselves for the championship challenge during the summer break, so we arrive in the Czech Republic in good shape. This will be crucial in this closely contested season, especially with back-to-back races in the next two weeks.